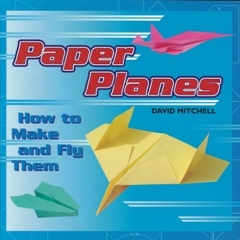 Like most other origami authors I have designed paper planes in quantities. You can find them in my book Paper Planes or in the Paper Airplane Calendar I do for Andrews McMeel every year. While I try hard to be original do not be surprised if some of these designs look familiar to you. It is very difficult to design truly original paper planes and different designers frequently come up with the same design in different places at different times. After all a paper plane must have a nose, a keel of some kind, even if it is only a shallow valley fold, and a wing on each side. How many possible variations can there be? By downloading these diagrams you agree that they are for your personal use only in the terms of the copyright permission set out on the Permissions and fees page and that you will not otherwise distribute these diagrams in any way.